This could be cynical damage control by the admin., but until proven otherwise I choose to believe that Melania is telling POSPOTUS that he is a monster and that America is better than him. It looks like it was cynical damage control by the admin. Sigh and yuck. 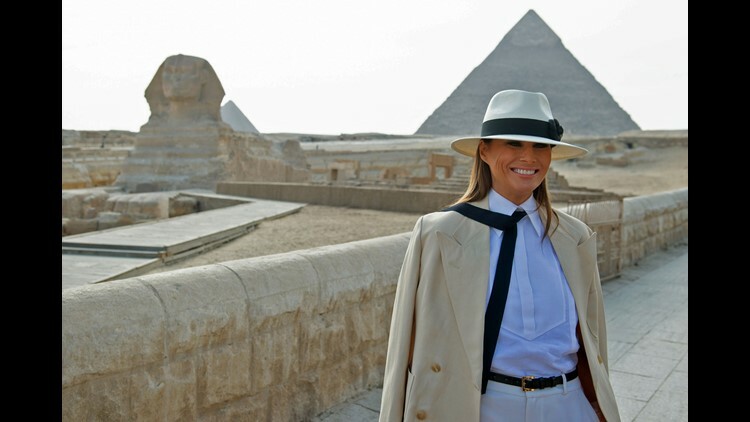 Okay, no more slack, I am officially disgusted with Melania, too. 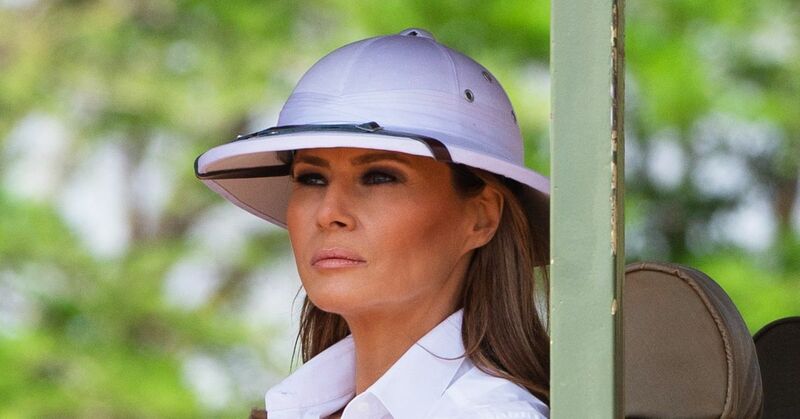 Melania Trump earned between $100,000 and $1m from a major picture distributor, according to her husband Donald Trump’s most recent financial disclosure form. Although it is commonplace for celebrities to sign such royalty deals for photos, it is highly unusual for a first lady to partake in such an agreement. It is even rarer for a media outlet to guarantee the type of coverage it will bestow the subject of a story. "highly unusual" = No FLOTUS has ever been so greedy before. $100,000 - $1,000,000 pretty big range. I imagine she has plenty of other possible legal businesses going, but this is selling the office. 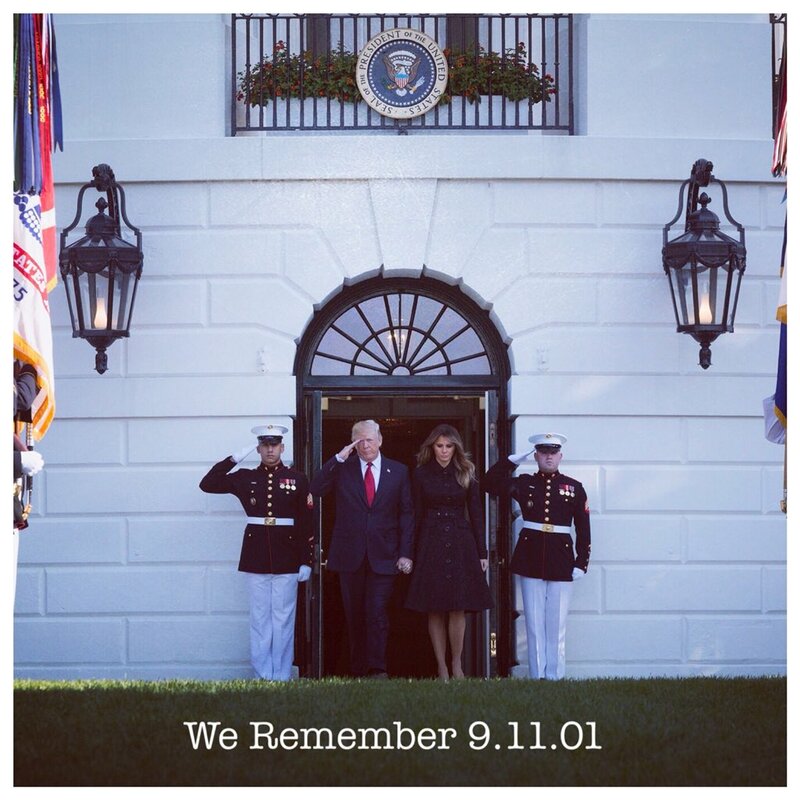 The pictures are of the WH, AF-1, etc. She is the same ***** she has always been. That is, unless she has always been a putin operative. After this I will not grief you if you call her a whore. You were right and I was wrong. 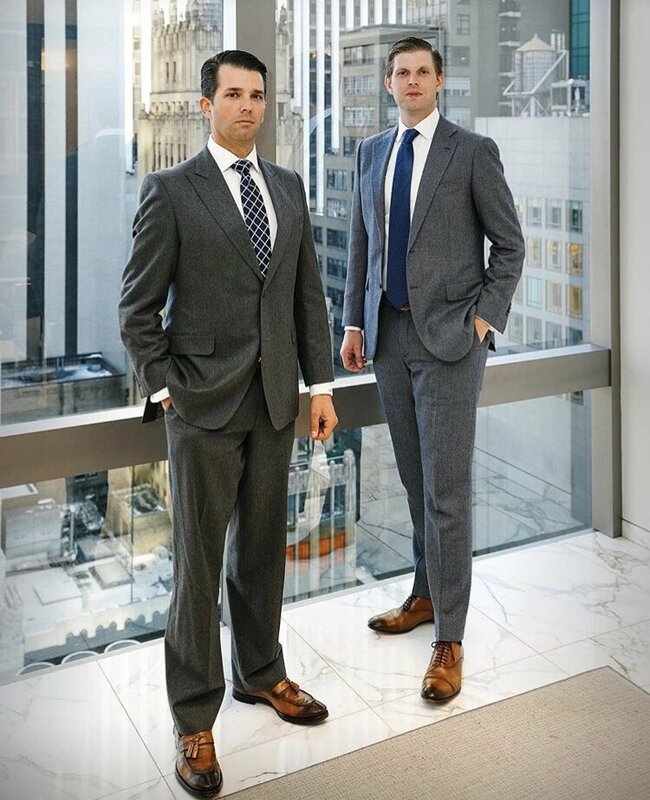 Those rambunctious rapscallions, the Trump Boys, are being shredded across the internet again thanks to a photo shared by their pal. While contemplative forest photos and pictures with elephant tails have already generated so much Burn Twitter, a new photo by alt-right personality Jack Posobiec has given more fuel to the fire of Trump Boys haters. I think you're way off, man. There's no way that Eric's sentence will be longer than Junior's. ...years to life without parole. I was not aware Eric had the higher IQ. Try some syrup of ipecac; I hear it helps. Be careful of the dosage though, it can create the dreaded "Trump Acceptance Resistance Disorder". Weakness, aching, and stiffness of muscles, especially those of the neck, arms, and legs. Why take something that makes me feel what I'm already feeling? 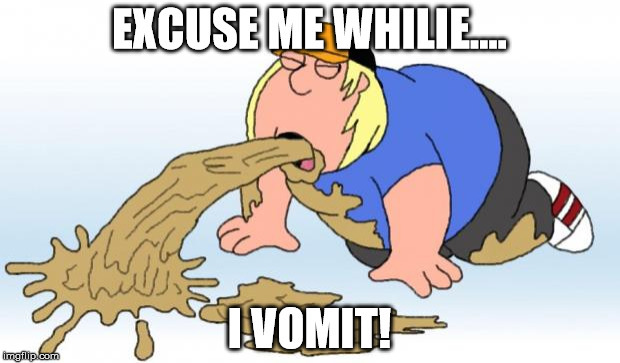 Because you said it makes you WANT to puke. Just offering my medical advice. Awww - Eric can be so cute. "Eric Trump got himself into yet another Twitter pickle on Friday, when he mused that “hatred makes people blind to facts." HuffPost: Eric Trump's Tweet About Hatred Is Just Too Ironic For Folks Online. he said that “hatred makes people blind to facts." But what about alternative facts? Funny, al Qaeda put out the exact same tweet. Funny, I thought it had been one year since September 11. "I agree,” Kimmel said. “You’re not a psychology professor. You’re a dull-witted human canker sore who shoots baby hippos out of Daddy’s helicopter because it’s the only way you can get an erection." Dress up (or undress) model. Cairo is 90 during the day, 70 at night. Who wears a coat? Because she's got the money to dress any way she pleases, and it pisses off the have-nots?